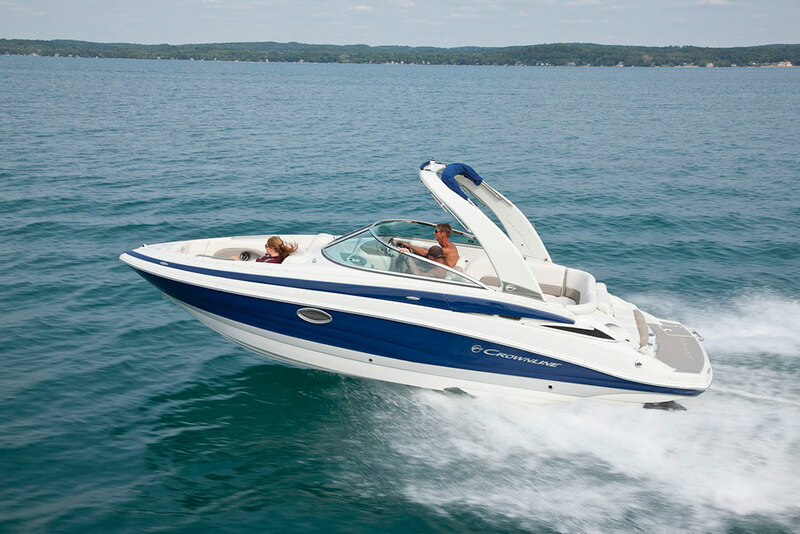 Crownline’s E26 XS is a shape shifter that blurs the line between runabout and deck boat. Emerging trends in the marine marketplace make for an exciting new-model season, which makes for an even more exciting boat show season. 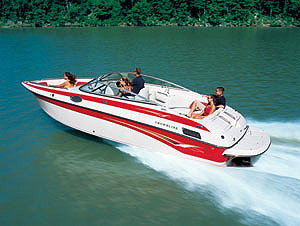 There’s a major trend toward outboard engines because of how they free up designers to do more with a boat’s interior. 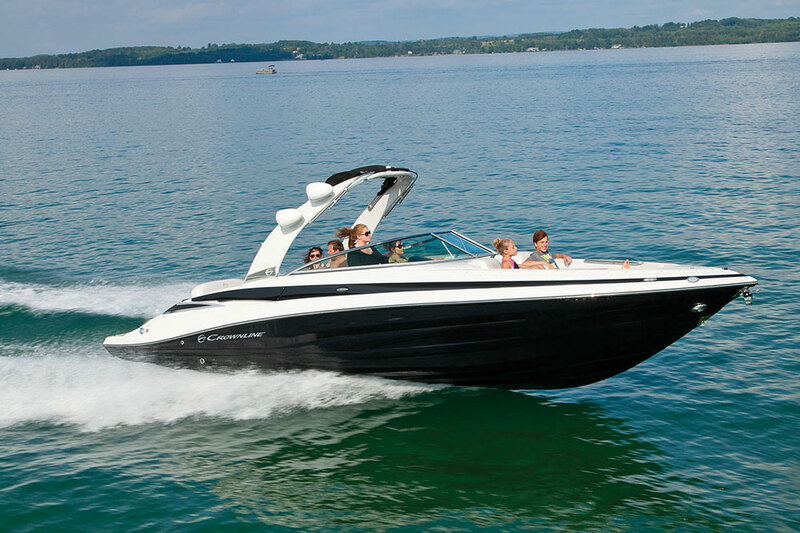 The trend toward wider bows offers greater interior space and greater practicality when the boat is beached. With Crownline’s E26 XS buyers can get in on both trends. 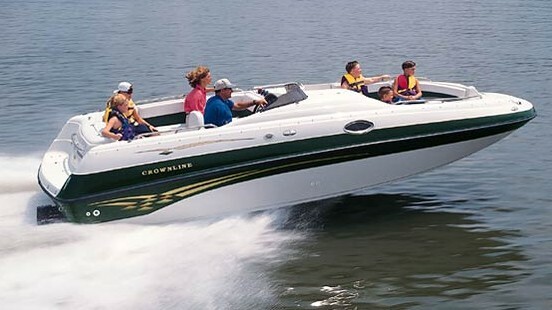 This Crownline model gives boaters the best of both worlds in terms of runabout performance and deck boat size. The wide nose creates a spacious bow seating area. The forward-facing lounges are “sculpted” for added comfort and feature armrests that fold down. 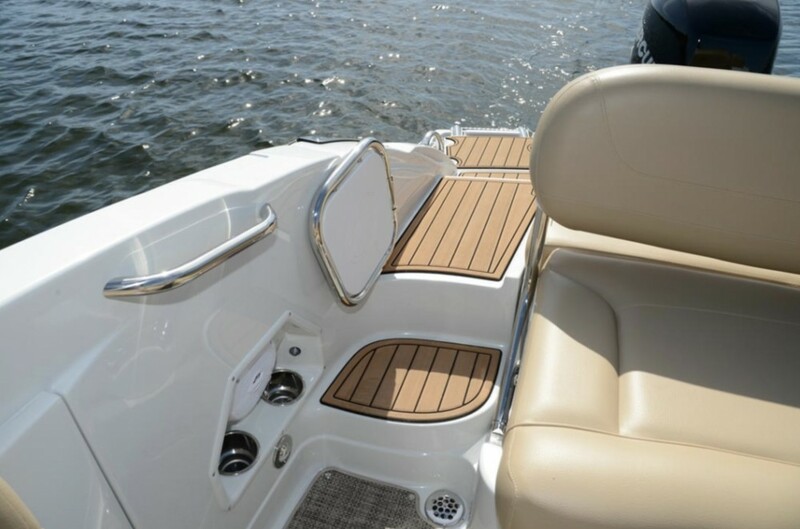 Of course, there’s ample stowage beneath all the cushions up front, but there’s also a full-featured anchor locker, fitted with a four-step telescoping ladder and a latching lid—all of which is topped with soft-touch Sea Dek foam. At the stern, a standard convertible aft electric adjusts to your desired position to take advantage of the spacious swim platform, which you can access easily via the walk-through on the starboard side. To port, Crownline built a handy locker next to the aft bench, which is perfect for holding dock lines. 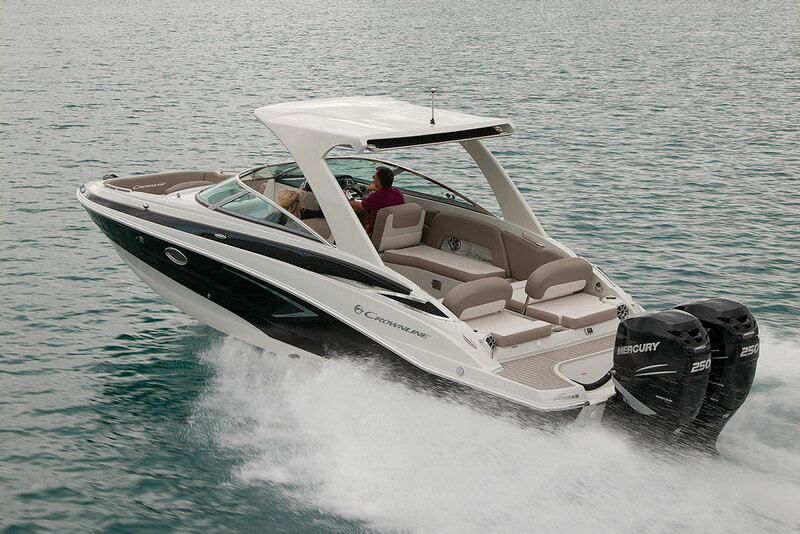 What’s also notable about the E26 XS is a few of the boat’s standard features. One was the aforementioned electric rear sun lounge, but also of note are the standard head compartment with a granite counter top, the handheld transom shower spigot, docking lights and the bow walk-through doors, which lock in place to block out the onrushing wind. That alone can extend your boating season by a few weeks. The bow walk-through doors provide easy access to the swim platform and lock in place to avoid movement caused by wind. You also get snap-in carpeting standard, which is almost invariably an option on many competing models. 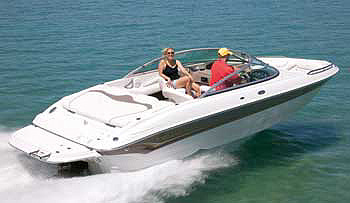 Crownline includes canvas bow and cockpit covers as standard features and a bimini top, all of which come color-matched to the boat. A bimini top is so essential, it’s difficult to understand why more boat builders don’t include them as standard features. 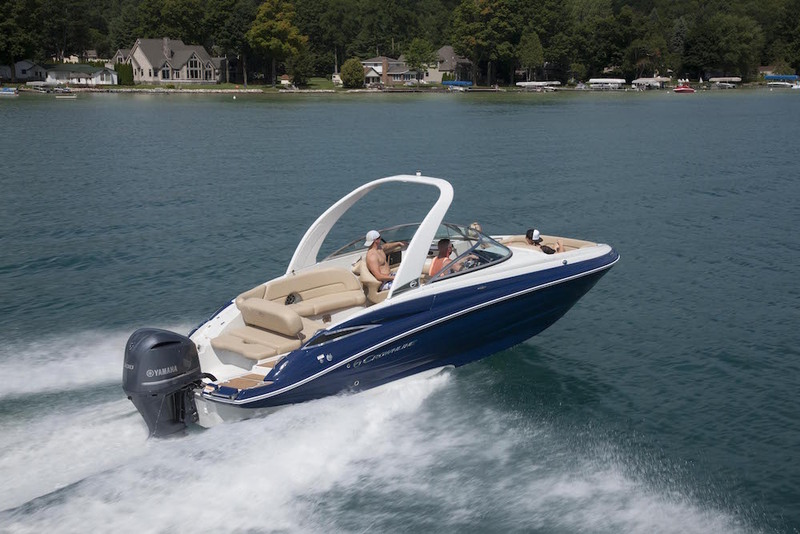 Base MSRP is $93,986 with the standard Mercury 300 Verado XL with digital throttle and shift. You can save a little by choosing a Yamaha 250 V-Max, which rings up at $91,700. If you don’t mind paying more for options, there are engines with up to 350 HP available, but the standard engines should be plenty stout. Other options include gelcoat schemes and colors, but they can add up quickly so choose wisely. You also can get wakeboard towers and arches, but there are better boats on the market if wakeboarding is your priority. 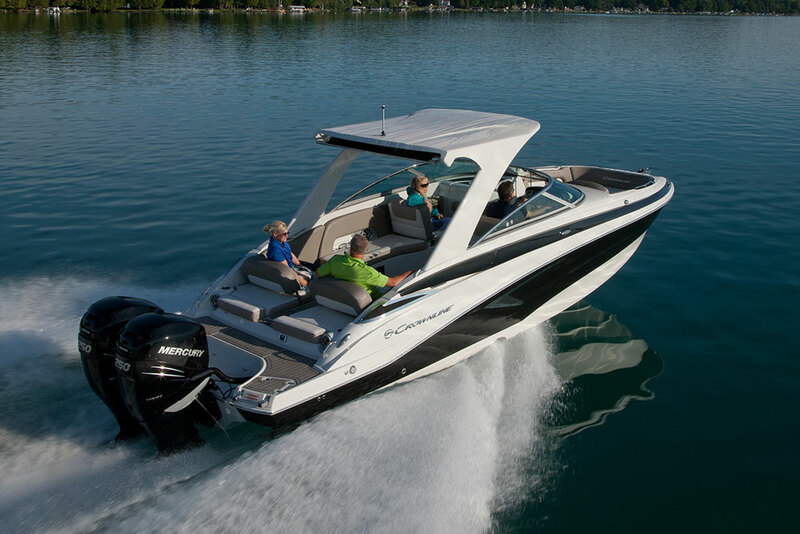 If your priority is day-boating with family and lots of friends, the E26 XS is just the ticket. 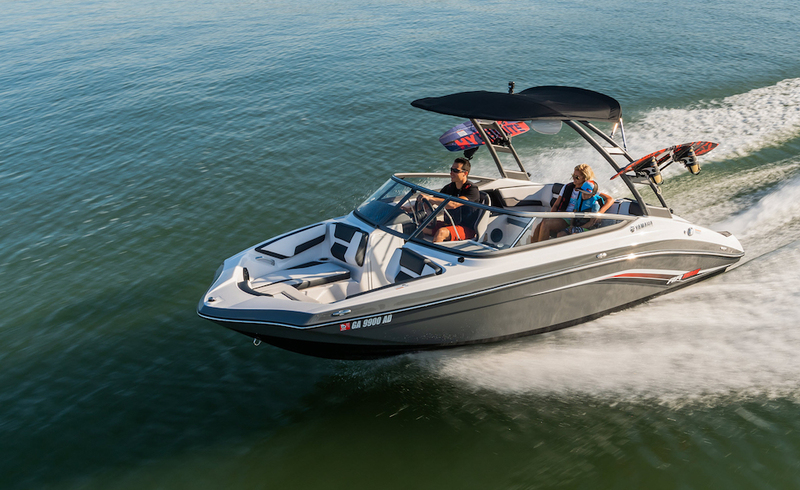 With the space afforded by the wide bow and the convenience of the outboard engine, the E26 XS deftly blurs the line between runabout and deck boat, which isn’t easy to do. Other Choices: When it comes to outboard-powered runabouts that match up to the E26 XS, boaters won't be disappointed with the slightly smaller Cobalt 25SC or the larger Regal 29 OBX.